Robert Graves once said that world has gone through the vents of patriarchy and matriarchy staging the level of what he described as mechanarchy. Although he put it into the context of expression of pure love in the poetry I guess it is a sidekick to the notion that mechanised world of today as it is ruled by the ever-present paradigm of technology and foremostly ever-watchful eye of surveilance has transformed our lives so much that there is not much space left for the type of inter-communication that gets things in a broad light of ...snarkful irony. There is not much space left for laughed out poetry census, its depth of vision, appreciating instead of self -depreciating as it is in case of self-default mode of irony in today's media. Irony as a sense of deep-insightful mode which takes deep analysis for something innovative and fresh. Cannibalizing on the past in order to...it's just lost case. Integrity of internal principles gives way to clear sense of vision on esthetical level. How to fill it in with the contents which is actually beyond mere aesthetical vagaries? The bleakness of culture as it is with denominatives which can pose questions of the independency and freedom... or maybe this question is just obsolete function of the paradigms that have already transformed and aren't necessary being just but a part of old-fashioned Rousseauesqe idealism? 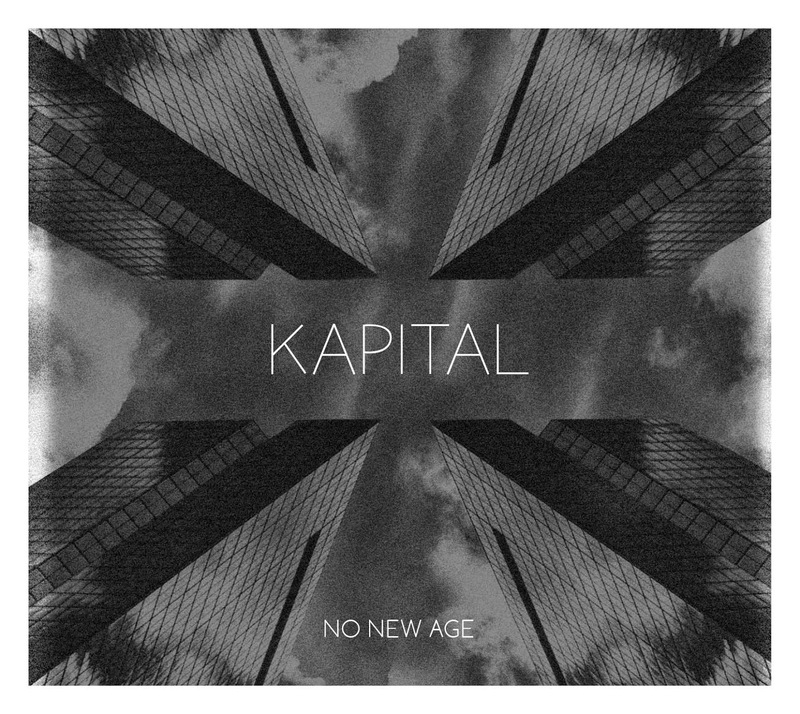 Kapital has had their album released on Bocian records with sombre and cold cover of Joanna John from Okultura publishing house. My thoughts of collective consciousness have been replaced by collective intuition as I listen to Rafał and Kuba's material phasing out what they have already done in their career and building up a new set of current. I would be rather superficial to state that I could file this music as experimental. I should rather say that it stems out of experimentalism built up over a time they have been active - and creating a solid, functional platform of something more than just an occasional experiment. That's the aesthetics but as for contents it may be preassumptious to say that there is a great deal of recollective ideas on how enslaved we are today - in the clichee of irony and devout of the core idea of what is human and lacking this particular sense and ability to push ourselves forward in search of elusive "self-improvement". That leads us to the actual music.